Unlike New Jersey, federal wage and hour laws as embodied in the Fair Labor Standards Act (FLSA) do not require employers to distribute pay in specific intervals (weekly, bimonthly, etc. ), rather the employer simply needs to pay your wages “promptly”. In contrast, the New Jersey Wage Payment Law N.J.S.A., 34:11-4.1, et. seq. (WPL) requires every employer to pay the full amount of wages due its employees at least twice during the calendar month on regular paydays designated in advance. Each regular payday must be no more than 10 working days after the end of the pay period for which payment is made. However, “an employer may establish regular paydays less frequently than semimonthly for bona fide executive, supervisory and other special classifications of employees provided that the employee shall be paid in full at least once each calendar month on a regularly established schedule.” N.J.S.A., 34:11-4.2. Employees must be told at the time of hiring what their rate of pay will be and on what day they will regularly be paid. Employees must be told of any changes in pay rates or paydays before the change takes effect. The employer must provide each employee with a statement of deductions for each pay period. If there is a dispute over the amount of wages due the employee, the employer must pay all wages conceded by it to be due, without any conditions and within the time required under the Wage Payment Law. As to amounts remaining in dispute, the employee may file a wage claim with the New Jersey Department of Labor and Workforce Development – Wage and Hour. The New Jersey Department of Labor and Workforce Development is empowered to investigate claims of violations of the Wage Payment Law and institute actions for recovery and penalties. 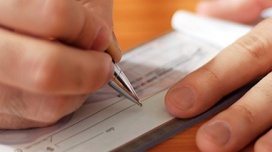 If you believe you are the victim of a violation of New Jersey’s Wage Payment Law, do not hesitate to contact the attorneys at Mashel Law, L.L.C. Mashel Law located in Marlboro(Monmouth County), New Jersey, is dedicated exclusively to protecting the rights of employees.